Family cars generally tend to be larger and thus more difficult to maneuver into small spaces when parking, especially in poorly-lit conditions. A backup camera serves as a very handy safety feature that can be used to prevent you from colliding with a pillar or another car when parking in the garage. They can also be very useful when you need to parallel-park in very tight conditions on the road. Also, many cars have a very high rear window that can leave you guessing as to whether it is safe to back your car up, especially if there are small children around because usually you will not be able to spot them using just the rear view mirror. In fact, making a backup camera mandatory is under consideration by the Federal Government. When you are driving a car with a bunch of kids, it can be very easy to get distracted, and not be able to keep an eye out for vehicles approaching you from the sides. What you may miss out while glancing in your side or rear view mirrors are what the blind spot detect system alerts you to. The technology senses any vehicle that may be approaching you in your blind spot and warns you. If you have your turn indicators on, it will also alert you not to switch lanes. Because of its 360-degree coverage, this system can prevent many collisions that take place every day just because drivers are unaware of the vehicles in their proximity. Apart from keeping your family safe, this device is also great for keeping your insurance premiums down because you won’t be crumpling your fenders too often. When you are driving out with your family, kids can always keep you on high alert with their antics. The last thing that you should consider doing during that time is to attend to calls on your cell phone by manually picking up your phone. Get a car that has Bluetooth connectivity inbuilt with the audio system so that you can have a conversation over your car’s audio system without needing to touch your mobile phone. Incoming calls are automatically routed to the audio system and the music kept muted till the call is over. There are even some advanced models that can read out your text messages aloud. Considering that the average size of the family is quite small, many parents may not be quite sure if they need the extra seating space that is provided by the third row of seats. Growing children are sure to make friends and the last row comes in very handy when planning for trips, sleepovers, playdates or even school projects. 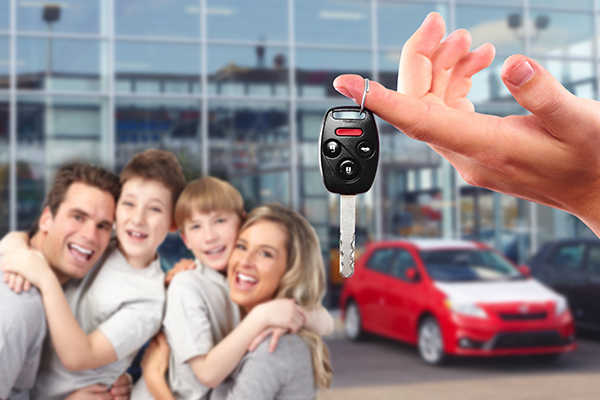 Take a long term perspective and do the math; buying a car with the third row, even it is a little more expensive is far cheaper than buying an extra vehicle to cart the family around. Nothing is more important than the safety of your family while travelling. Before putting your money down, be sure to check out the United States New Car Assessment Program (US NCAP) score that rates each model for safety in a variety of situations, including side and frontal crashes. Remember just because a vehicle looks tough, it may not actually be in real life conditions. Author bio: Meredith Howard is the showroom manager of a prominent US vehicle brand. She regularly counsels prospective buyers regarding car selection, from new as well as certified pre-owned cars. This entry was posted in Family and tagged car, family, Great.